While new cruise ships normally generate a lot of excitement among passengers, something even rarer is turning heads — the launch of an entirely new cruise line. Virgin Voyages doesn’t start sailing until 2020, but already it is generating an amazing amount of buzz. That’s thanks to the cruise line’s unique take on the industry, with announcements that it will be adults-only, have all food on the ship included with your fare, and even eliminating single-use plastics for environmental reasons. On top of all that, the design and atmosphere of the cruise line promises to be unique and daring by cruise standards. Case in point: Virgin Voyages just released renderings and details of the “RockStar” suites on their new cruise ships. Without a doubt they are among some of the most impressive suites on a cruise ship anywhere. With a design that looks much more like a Las Vegas hotel room than a cruise liner, you’ll see features including floor-to-ceiling marble bathrooms, swinging hammocks, wraparound couches, and more. In all, it’s the most modern and chic cruise cabin of any sort we’ve seen. All told, there are eight different suite types ranging in size from more than 2,100 square feet (the aptly named “Massive Suite”) down to a still spacious 352 square feet. In total, there will be 78 suites aboard Virgin’s first ship, Scarlet Lady. The Massive Suite even has a private hot tub and is stocked with guitars and an amplifier. But what’s surprising to us are some of the perks and amenities that come with booking one of these RockStar suites. When you book a suite on Virgin Voyages, the company has announced that you’ll receive a host of perks and amenities. Suite guests will also have access to Richard’s Rooftop, a private club for suite guests that’s secluded to let passengers soak up the sun or have a drink. While most cruise lines have perks for their suite guests, Virgin seems to be taking things to another level. Virgin Voyage’s first ship, Scarlet Lady, is scheduled to set sail from Miami in the first quarter of 2020 and will hold about 2,750 passengers. 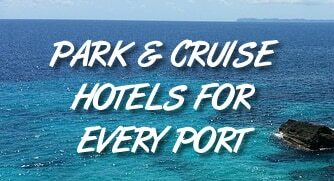 Cruises open up for booking in February. There is no word yet on pricing. For more on the upcoming cruise line check out our article about Virgin’s new terminal in Miami and all the cool things we know about the cruise line so far.